I’m finally heading back to Manila tonight! Woohoo! Even if my travel-filled month is already coming to an end, I still can’t believe I was able to fit all my things in my luggages. I guess it all boils down to bringing only the essential clothes, accessories, and shoes. And when I say essentials, I don’t just mean the basics. They’re more like items that you can easily mix and match and keep you comfortable as you travel, much like what I’m wearing on this post. 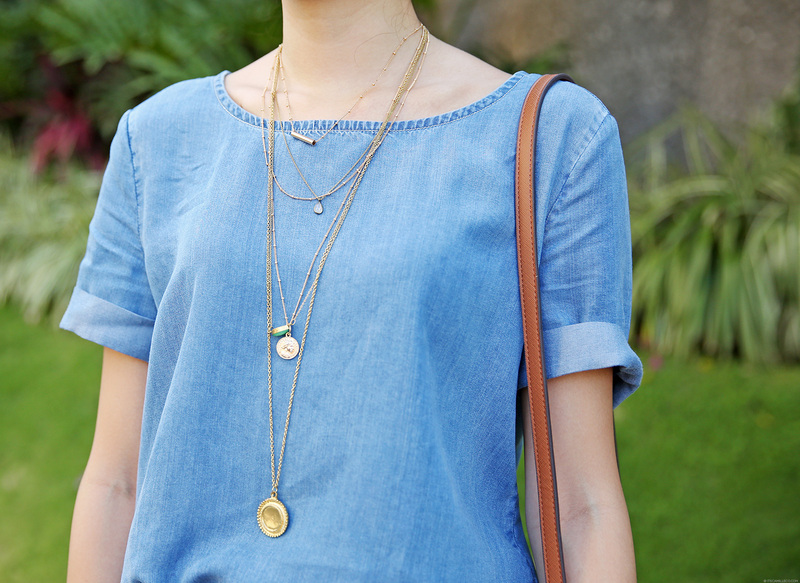 I always say denim is one of the most versatile fabrics ever so bringing a few denim pieces with you will in handy. These, in particular, are perfect because they’re light and thin so they won’t add too much bulk and weight. The pants are actually like joggers which are number one on my airport/airplane fashion must-haves list so they’re definitely big winners in my book. If you like traveling with spacious totes, make sure to bring a smaller bag as well. A body bag like this one is highly-recommended because you can wear them across your body and go hands-free without having to worry about snatchers eyeing your bag. As for accessories, don’t bring heavy ones. Remember, conserving luggage space and weight is crucial. 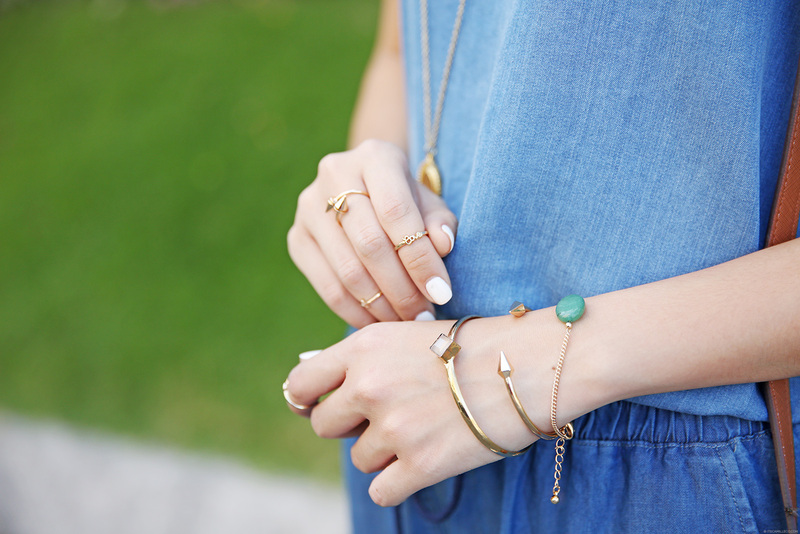 Instead, go for light necklaces, rings, and bracelets that are great for layering and creating different looks with. Throw in a pair of sunnies that are easy to match with all sorts of outfits too! And finally, don’t forget your flats! This is ideal when I go out and hang out with friends! Comfy! Thanks, Miss Camille. Btw, you look super cute when you’re hair is in a bun. love how it looked like a jumpsuit! I must try this! 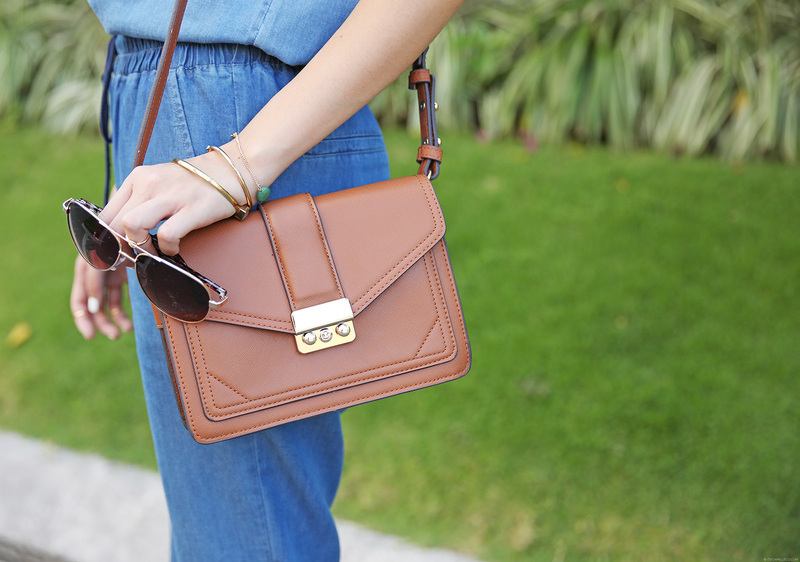 Love how the denim looks so light Miss Camille. Casual and comfy for strolling, one of my faves. Thanks for the packing tips! 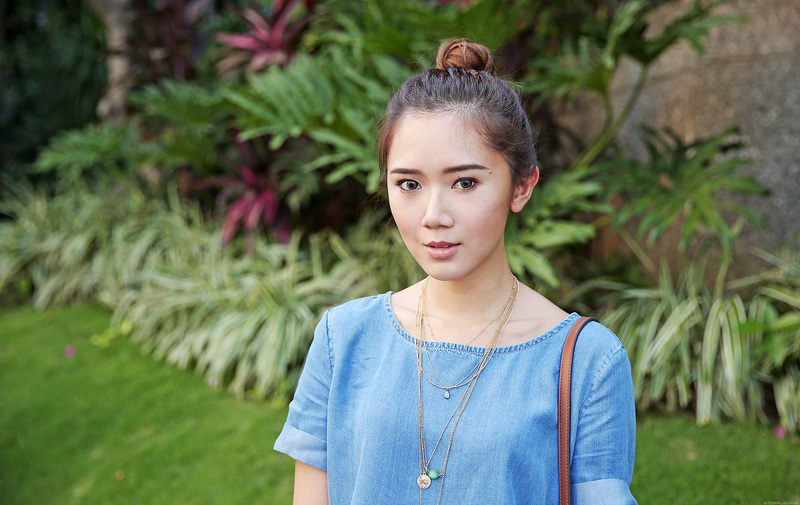 I’ve been really wanting to add more denim to my wardrobe since it is really versatile. I might just have to buy those pants! Denim stuffs at its best! I like your top denim shirt partnered with denim jogger pants plus simple and light accessories and loafers. Now that you gave us another ideas for great casual fashion, we thank you for this post! We definitely love it!! This is something that I would honestly wear myself! It still befuddles me how much luggage you bring during your trips Cams. Clue naman jan! Hihi.